We are delighted to welcome back novelist Thomas Waite to Omnimystery News today. Tom's new techno-thriller is Lethal Code (47North; September 2014 trade paperback, audiobook and ebook formats) — you can enter to win a copy by visiting this post on Omnimystery News — and we recently had the chance to catch up with him to talk more about his books. Omnimystery News: Lethal Code is the first in a new series for readers. Introduce us to the lead character. What is it about her that appeals to you as a writer? And will any other characters in the book make another appearance later in the series? Thomas Waite: Sure. Let's start with some background. Lana Elkins is a former cyber spy for the NSA and now founder of the cyber security firm CyberFortress. She is strong, smart, and tough in the face of massive cyber attacks against the U.S. As a single mom, she struggles with work/life balance issues, given her challenging daughter, Emma. Lana works closely with Robert Holmes, Deputy Director of the NSA. I suppose like most writers, Lana's strength and complexities make her most appealing. She is very talented, very brave, but also very human. She really does wrestle with the conflicts between her work and her daughter. She has weaknesses just like anyone else. And yes, other characters recur — notably her daughter Emma, her daughter's friend Tanesa who she meets in Lethal Code, and Deputy Director Robert Holmes. OMN: Why did you choose a female character as your lead? TW: I didn't — she chose me! Well, that's only partially true. When I started thinking about this series, the obvious choice was to create a strong male hero who possessed exceptional technology skills. I didn't want to do that. It's so hackneyed and I didn't think the world needed another stereotypical hero. I really like having a heroine for my series — a woman who was brave, smart, technologically a superstar, but still feminine, maternal, and human. OMN: What criteria do you use to decide whether a book will feature a series character or not? Do you come up with a plot outline first, then decide whether or not it is more suitable for a series character? TW: I'm sure other authors are very calculating when it comes to deciding whether to go with a series character, particularly a hero. Just think of some of the commercially successful ones — James Bond, Jason Bourne, Jack Ryan, Jack Reacher — and those are ones that start with the letter "J." You get my point. When I set out to write this series, I knew that Lana would be a recurring character. Once I started writing, I knew that Emma would continue as well. But honestly, I didn't plan who would continue into subsequent novels, but rather they emerged during my writing process. 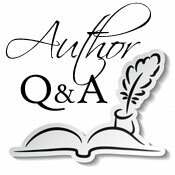 Your question about creating an outline first is one that is constantly debated among authors. Of course, there is no right answer. Authors like Harlan Coben will tell you that they don't outline, but they know the ending before they start. John Grisham, on the other hand, says he can't write a novel without doing an extensive outline first. Robert Ludlum was the same way. I don't start with an outline. I tried it when I wrote my first novel and decided it wasn't for me. My process is much more organic. I do create a synopsis, which is helpful — and keeps my publisher happy. However the truth is while I have a general idea of what I'm going to write, a lot emerges during the process. In the end, my novels are different than the synopsis — in some aspects a good deal. OMN: How would you categorize your books? TW: I would call them thrillers. I agree that more specifically they are cyber thrillers, but a reader doesn't have to understand technology in order to enjoy my novels any more than a reader of Tom Clancy has to be well versed in the operation of a nuclear submarine. In fact Lethal Code has topped the lists in a number of categories, including military, political, and espionage thrillers. In the end, I hope my novels are categorized as pretty good works of fiction. OMN: Tell us something about Lethal Code that isn't mentioned in the publisher's synopsis. TW: A publisher's synopsis is deliberately designed to convey the plot and excitement of a novel without disclosing any spoilers, and mine is no different. I think one thing that isn't mentioned, but is very important, is the relationships amongst the characters. One example of this in Lethal Code, besides Lana and her daughter Emma, is the relationship between Ruhi Mancur and Candace Anders. Ruhi falls in love in love with Candace, but he is caught up in a web of suspicion while Candace has a secret to keep. I won't ruin it for the reader, but their relationship is captivating. OMN: Lethal Code deals with cyber attacks. How much of your experience in the tech world is in the book? TW: Let me begin my answer by saying this — I am not a cyber security expert. I am fortunate enough to know some impressive folks who are, and we should all be grateful for the work they are doing. I have spent much of my life working in the technology sector and I am currently on the board of, and an advisor to, a number of technology companies. So I'm certainly comfortable with the subject matter. The true experts might say that I know enough to be dangerous and I would agree. That's why I ask them questions all the time, and fortunately they are willing to lend me their expertise. OMN: Without revealing too many spoilers you had to take some liberties with the setting to deal with the aftermath of the attacks. How did you decide what to do to make everything believable? TW: When you write a novel in my genre, you have to put in enough details for it to be convincing without going too far and losing some of your readers or slowing the story down. I tend to think of it as writing inside a bell curve — you don't want to go too far out on either side. I am writing fiction and like other authors of fiction taking liberties comes with the territory. I won't reveal any spoilers, but I think it's important to recognize just how nascent the field of cyberwar and cybersecurity is. I try to make my novels as believable as possible, but given the subject matter, there will always be people who think what I write about isn't possible. The scary thing is most of it really is. Some of the recent revelations about cyber attacks have demonstrated it. TW: I do my best to fact-check my books via a combination of research — both online and offline — as well as consulting with experts. I can't always get it right, particularly anything that treads close to classified information. That is far and away the most challenging to research. Some of my requests have had to be approved by the government. The most exciting topic for me to research has been and will continue to be the area of cyber warfare. It's a topic that is constantly evolving, and I learn new things almost every day. It part of the reason I chose to write about it. It is both exciting and terrifying at the same time. TW: As a student of English Literature and a life-long reader, this isn't an easy question. As I recall, I talked about a host of authors who had influenced me when I wrote Terminal Value. Thinking about just Lethal Code, I'd have to say that top of the list is the non-fiction book, Cyber War, by the counter-terrorism expert Richard Clarke. Clarke served in the White House for Presidents Ronald Reagan, George H.W. Bush, George W. Bush, and Bill Clinton. Citing numerous examples, the book makes a very convincing case that although the U.S. pioneered the technology behind cyber warfare, our outdated thinking, policies, and strategies make us vulnerable to losing any cyber contest with a hostile nation. Naturally fiction had an influence on how I write today. I always enjoyed author who could both entertain and educate their readers. Tom Clancy and Michael Crichton are good examples. So is John Le Carré. When I write, I try to do both and tell an exciting story. TW: I guess I look for this in any book I select to read. One of my favorite non-fiction writers is Michael Lewis, author of Liar's Poker, The Big Short, Money Ball, and other great books. He writes non-fiction, but he tells his story much like any good novelist. TW: Another tough question. I'll try films. Not in any particular order: The Godfather, Casablanca, Notorious, Raging Bull, and Chinatown. Of course, even I am uncomfortable with this list. TW: On the author front, I just completed my next novel, Trident Code, which will be published in May of 2015. I am currently starting to sketch out the synopsis for the third novel in my Lana Elkins thriller series. On the personal front, I'm looking forward to putting aside writing for a couple of weeks and taking a real vacation. Thomas Waite was born in the seaside town of Ipswich, Massachusetts, once home to the authors John Updike (who was a patient of his Dad, which enabled Tom to build a nice collection of signed first edition novels), Adele Robertson, John Norton, and the poet Anne Bradstreet. Perhaps it was the history of the town, but from an early age Tom developed a love of writing and left Ipswich to earn his degree in English Literature at the University of Wisconsin-Madison. There he focused on creative writing and was selected by the English Department to participate in an international study program at the University of Oxford. After college Tom lived in New York City and Boston and published non-fiction in such publications as The New York Times and the Harvard Business Review. He embarked on a career in technology culminating in his starting, building, and selling a technology strategy consulting firm. Tom then turned his attention to combining his work experience and his life-long dream and began writing cyber thrillers. In addition to writing fiction, Tom is the board director of, and an advisor to, technology companies in the cyber security, media, data analytics, cloud computing, mobile, social intelligence, and information technology businesses. He now lives in Boston. For more information about the author, please visit his website at ThomasWaite.com and his author page on Goodreads, or find him on Facebook and Twitter. America's worst nightmare has come true: a "cyber — Pearl Harbor" attack by unknown terrorists has crippled the nation's power grid — and brought the land of the free to its knees. As widespread panic and violence ravage the country, its ruthless captors issue their ultimatums … and vow an apocalyptic reckoning. A defenseless nation scrambles to fight an invisible invasion. Chief among America's last line of defense is Lana Elkins, head of a major cyber-security company — and former top NSA operative — who returns to her roots to spearhead the Agency's frantic efforts to combat the enemy's onslaught on its own terms. While she and her superiors take action to infiltrate a terrorist hotbed overseas, much closer to home ruthless jihadists with a nuclear bomb hijack a busload of schoolchildren — including Lana's daughter — and race toward a rendezvous with Armageddon in America's greatest city.